The follow up to our popular Crash Course to Sewing Class. So now you know how to thread your machine, wind a bobbin and sew in a straight line.. What's next? How about Hems and Buttonholes? 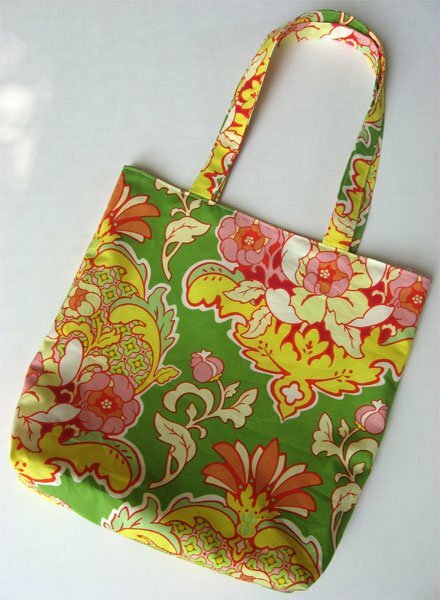 We'll cover several types of hems and discuss buttonholes and put those skills to use as we make a reversible tote bag - perfect for groceries, library books, kids toys and tons of other uses! Requires completion of Crash Course to Sewing. Bring your machine, foot control and power cord to class. A Fabric Kit purchase is required the day of class.